Watch Hill is a small and self-contained seasonal seaside residential and commercial community with a very strong identity and pride of place. Above all it is a place of great beauty, both natural and built, in which property owners and stakeholders seek wise investment and stewardship. Though an integral part of the Town of Westerly, Watch Hill has always valued its special status as a distinct community in its own right. For more than a century, its Fire District, a quasi-municipal corporation chartered by the Rhode Island General Assembly, has managed the significant assets that it owns, and has regularly championed positions that support and protect Watch Hill’s unique heritage and character. Watch Hill is undoubtedly one of New England’s coastal gems. Historically developed to take optimal advantage of its superb peninsular shore location, its natural and historic fabric are assets to be treasured and preserved. Above all it is a place of great natural and architectural beauty, where owners and stakeholders take their stewardship seriously. 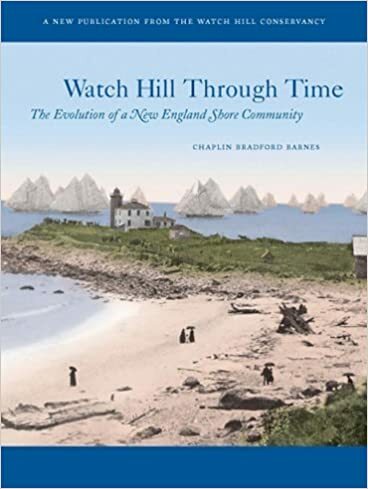 “Watch Hill Through Time, The Evolution of a New England Shore Community” by Chaplin Bradford Barnes with the support of The Watch Hill Conservancy. “Watch Hill – Then and Now” by Ardith M. Schneider, Roberta M. Burkhardt and Michael Beddard with the support of The Watch Hill Preservation Society.